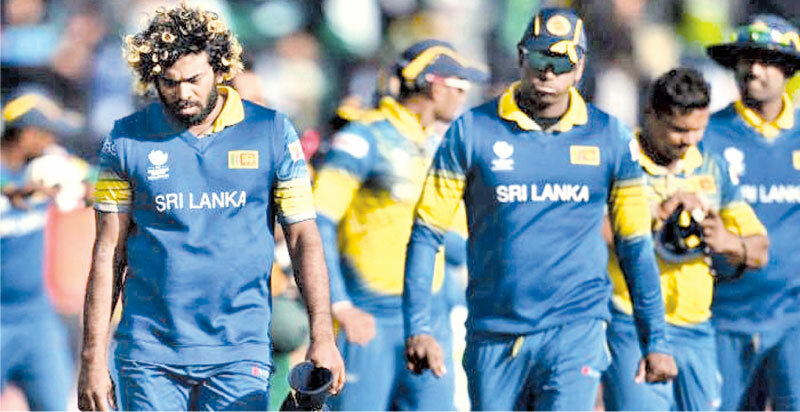 Following the annual update of the ICC ODI and T20I Team rankings Sri Lanka have slipped to ninth position (from eighth) in the T20I standings behind newcomers Afghanistan (ranked 8th) and in the ODI rankings although retaining eighth position they have lost the most points – 7 (from 84 to 77). Sri Lanka had a horrendous 2017 year where they lost 23 of 29 ODIs and 10 out of 15 T20Is. 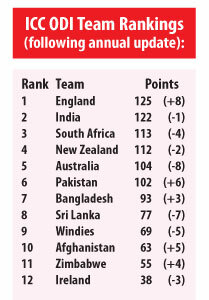 Meanwhile England have overtaken India to seize the top spot in the ICC ODI rankings while Nepal have rejoined the T20I ratings but will need to play one more match before they are ranked on the ICC T20I rankings. England’s rise up the table is largely because of a forgettable 2014-15 season which saw them winning only seven out of 25 ODIs against other Full Members. The 2014-15 season has been dropped from the latest calculations while those from the 2015-16 and 2016-17 seasons are weighted at 50 per cent. 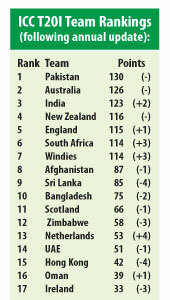 England, who last topped the ODI rankings in January 2013 have gained eight points and moved to 125 points. India, who were at the top before the update, have lost a solitary point and are in second place with a total of 122 points. South Africa, who were second, have dropped down to third place after losing four points, from 117 to 113, leaving them nine points adrift of India and only one point ahead of fourth- placed New Zealand.